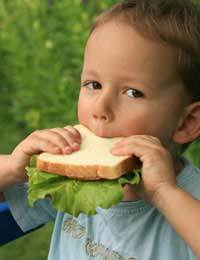 If someone in your family seems to have problems every time they eat a particular food you might suspect an allergy. So, what is an allergy and how can you test for it? A true food allergy happens when your immune system responds to a food that the body mistakenly believes is harmful. The immune system creates specific antibodies to defend against that particular food, and every time you eat that food in the future, the immune system releases massive amounts of chemicals, including histamine, to try to protect your body. These chemicals trigger allergic symptoms that can affect the skin, respiratory system, gastrointestinal tract, or cardiovascular system. What Should I Do If I Suspect A Food Allergy? You should see your GP. The more details about your problem that you can give to your doctor, the better. Your GP will want to hear about the symptoms you’ve been having, as well as when those symptoms occur, and how often they happen. Your doctor will also want to know if any members of your family have similar symptoms, or if there’s a history of allergies in your family. Have a think before you go about any possible triggers that seem to cause a reaction. Your GP will probably carry out some tests to identify the allergen – that’s the substance that’s causing the allergic reaction. Your doctor might carry out one of several kinds of test. Skin prick test. This is often the first test to try when looking for an allergen. The skin is pricked with a tiny amount of the suspected allergen to see if the skin reacts by becoming swollen, sore and itchy. Unfortunately, you might get a positive reaction to this type of test without actually having allergic symptoms when you eat the food. This is called getting a ‘false positive.’ As a result, skin prick tests are usually carried out in combination with other tests. Because this test involves bringing the suspect food into direct contact with the blood stream, it’s not used for people with severe allergies. Blood test: This tests looks at how much IgE antibody is in your blood. This is the antibody that the body produces in response to an allergen. The big advantage of this type of test is that it can be used on people with severe food allergies. Only a sample of your blood is tested, so there is no risk of the suspect foods causing anaphylactic shock. Patch test: If your suspected allergy seems to be causing eczema or contact dermatitis, this is the test your doctor will probably carry out. This test would probably be done by a specialist in your hospital’s dermatology (skin) department. Special metal discs are coated with a tiny amount of the potential allergen and taped to the skin for up to a couple of days. Your doctor will then take a look to see how your skin has reacted. Could My GP Refer Me To A Specialist? Yes, you might find that you’re referred to an NHS or independent allergy clinic. There are many NHS allergy clinics in the UK, and some of them specialise in certain conditions such as asthma, which is often linked to allergy. Do I Need Tests If I Know What I’m Allergic To? You might think you know what’s causing your problems, and you might be right. But even if you think you know what’s causing your allergic reaction, your doctor could still want to run tests to pin down the exact allergen that’s troubling you. Can’t I Do The Tests Myself? If you suspect any of the three most common allergens – dust mites, cats or pollen – then, yes, you can. Home allergy test kits can be bought from most chemists. Theses tests contain a sterile needle that allows you to take a very small blood sample. The blood is collected in a special tube and then posted it off to a laboratory. The scientists there will get in touch to let you know the results. Can’t I Just Stop Eating The Food I Think Is Troubling Me? It’s not a good idea to cut food groups from your diet without talking to a doctor first. You could risk missing out on important nutrients. Alternative Methods Of Diagnosing An Allergy? Lots of people and companies claim to be able to diagnose allergies. You’ll probably have seen them advertising in magazines, at health food shops, sports centres and complementary therapy centres. Methods for this kind of testing might include electro-acupuncture, kinesiology or hair testing. If you decide to go ahead with one of these methods, you should remember that they’re not scientifically proven and they can be expensive. Worse still, you might get a false diagnosis – thinking you’re not allergic when you are, or the other way around. For this reason, it’s probably best to see you doctor first if you’re worried about a food allergy. Food allergies can be worrying things. Whether you’re experiencing irritating skin conditions, or living with the fear of anaphylaxis, getting the right diagnosis is your first step towards getting in control of your condition. So, don’t delay. If you’re concerned, talk to your GP as soon as you can.